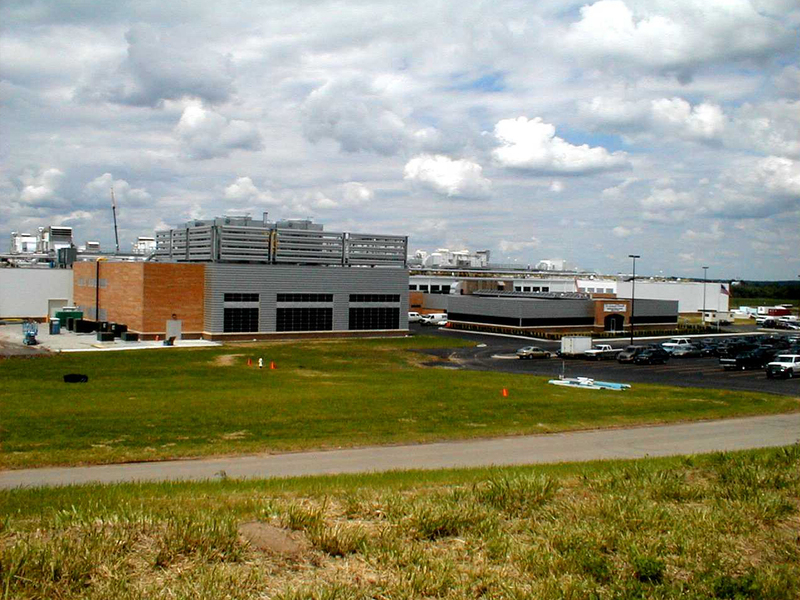 This 300,000-square-foot $90MM plant established a new benchmark for the meat industry. 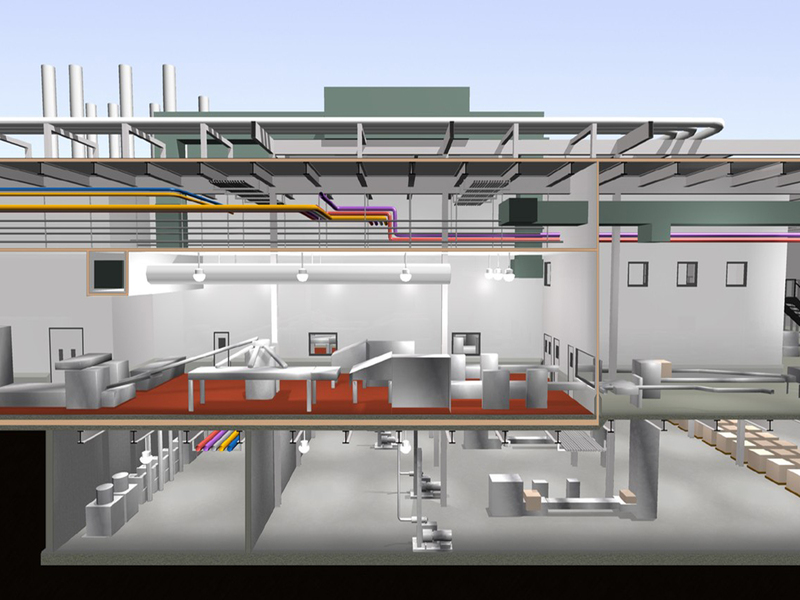 Virtually every aspect of the plant was designed for safety, productivity, and expandability. Key features include totally separated zones for raw and ready-to-eat (RTE), clean rooms controlled to 380 at 50% RH, all surfaces designed for maximum cleanliness, and separate facilities for the raw and RTE workforces with security controls. 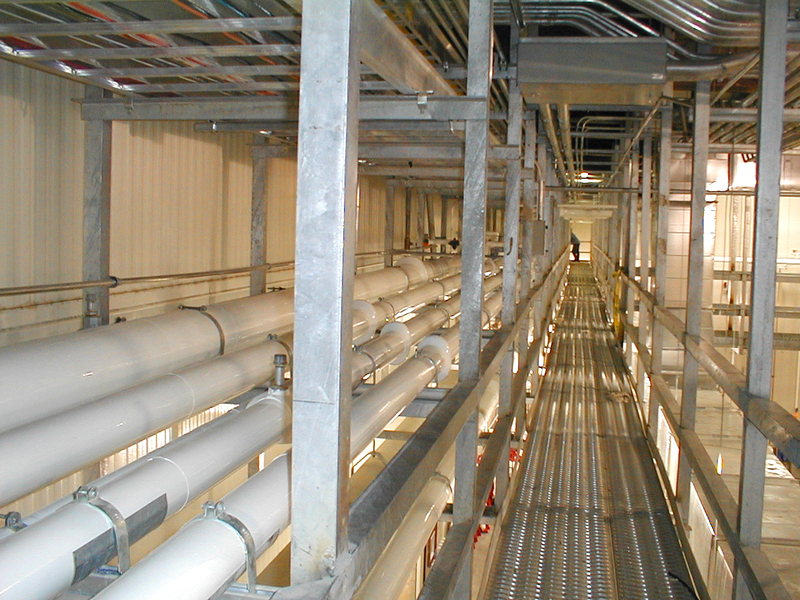 Raw and RTE zones are supported by utility mezzanines and waste is removed through the basement. 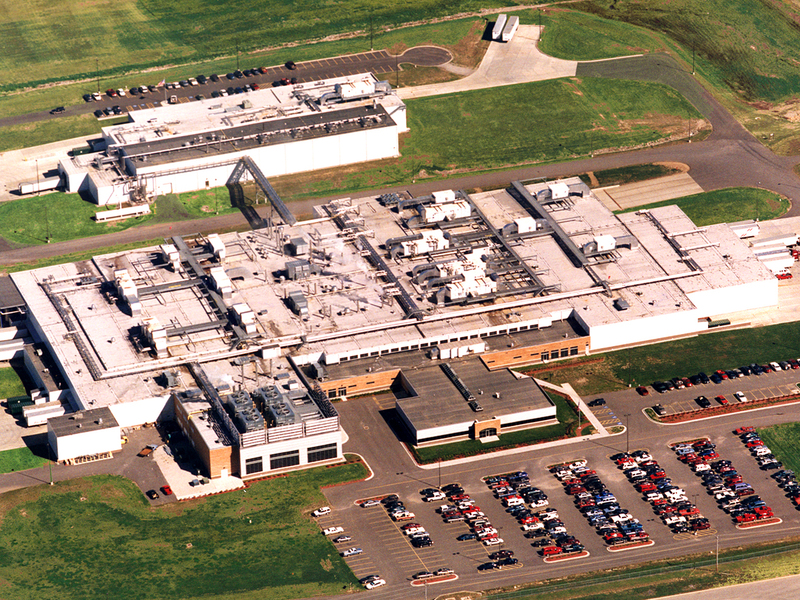 Productivity is achieved throughout the plant with parallel, linear production lines. There is no crossover traffic of materials, personnel, packaging or maintenance. 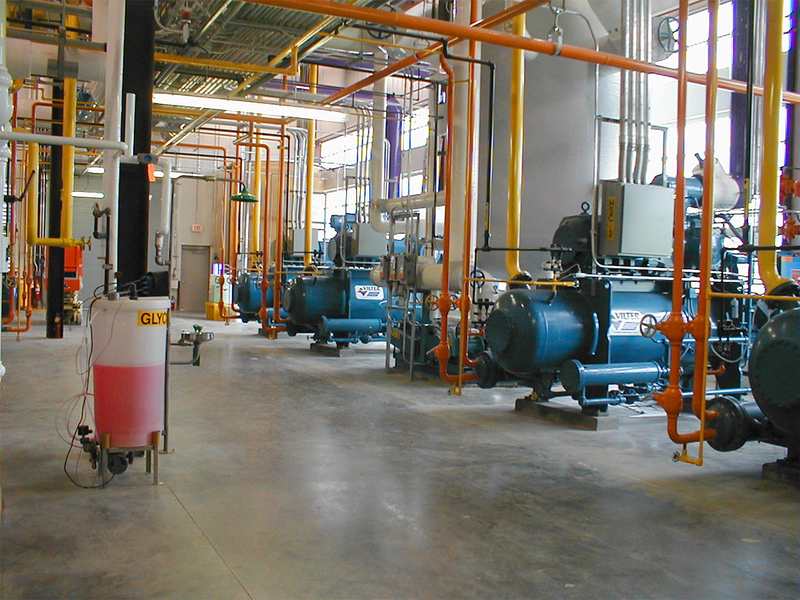 An electronic production tracking system is designed for “shop floor to top floor” information management, 3,700 ton ammonia refrigeration, 800 horsepower boilers and integrated control systems. 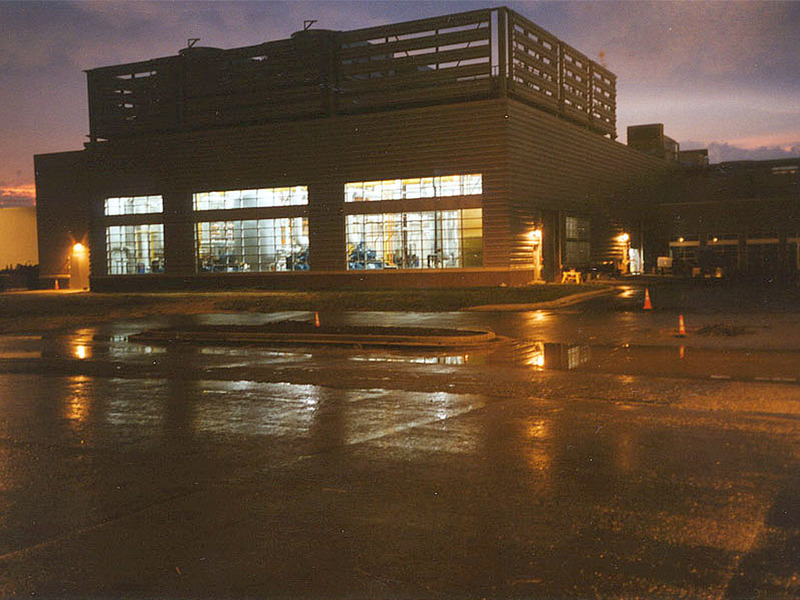 The building was designed to be expanded without disrupting current operations.